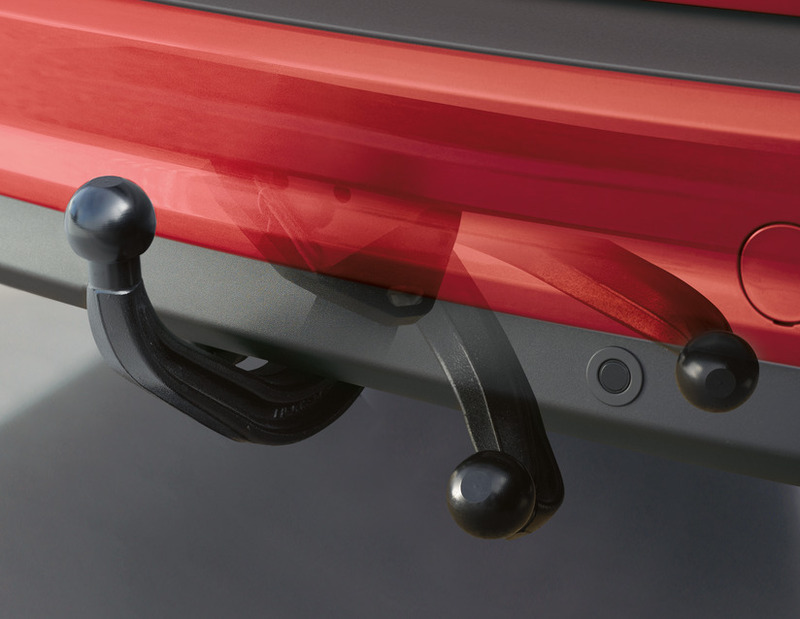 Retractable tow bars are always at hand for towing or transporting bicycles, but can be tucked away out of sight when not in use, for uncompromised styling and easier access to your boot. They are designed to be fully compatible with your vehicle's electrical system. Lid Lid to cover the release handle access of the retractable tow bar inside the luggage compartment..
Trailer Rear Module Kit including electronic module and fitting material. Provides outputs for trailer lighting and a relay switched supply suitable for charging a battery in the trailer, required to fit electrical kit. Adapter Wiring for Tow Bar for electrical kit Additionally required for installation on vehicles which are not equipped with connectors for the tow bar electrical kit.